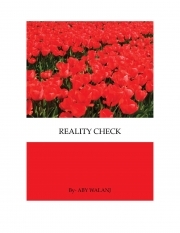 Description of "REALITY CHECK (eBook)"
As a human, we have the ability to manipulate everything .The way we see the world, the way we look at ourselves and the way we perceive. Now it depends how we manipulate, for the good or for the bad. We live in the reality that we know and what we perceive as reality. It may be the false perception altogether. With “Reality Check “, I wanted to share some of my inhibitions, some of my consciousness, my philosophies in the form of short stories and poems, with the satire that well which we have forgotten in our small lives. Take it or leave. It’s up to you people. It is the perception that matter. Aby Walanj has been living in Mumbai, India. He can best be described as the one with having a humor which can be best explained as satirical. This is his first attempt at explaining his view point to the world which he thinks is seldom looked at in our everyday busy lives. He can be found on email abywalanj@gmail.com. Reviews of "REALITY CHECK (eBook)"